Thousands of trade visitors and exhibitors from Greece and lots of other countries are expected to attend the “5th Freskon – International Trade Show for Fresh Fruit and Vegetables”, a fair which will be held from 11 to 13 of April 2019 in Thessaloniki. The choice of the city is crucial, as Thessaloniki is considered to be an important location for professionals in the fresh fruit and vegetable industry, operating both in the Balkan markets and in those of eastern and southern Europe. 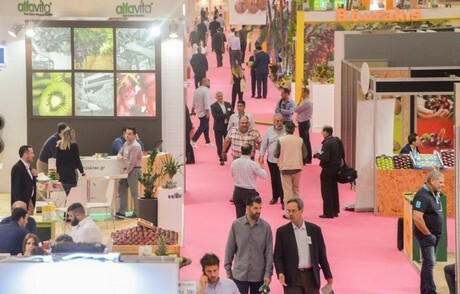 Having established its importance not only for the Greek sector of fresh fruits and vegetables, but also for Southeastern Europe, the fair returns more expanded and enhanced than ever, “filled” with new events and participants. A great event for the sector of fresh produce returns with even greater prospects and ambitions, having already verified its international character during the past four years. For this reason, in 2019 there will be even more side events, key speeches which are not to be missed and of course business appointments that will hopefully develop into long-term and fruitful partnerships. The participants of Freskon 2019 will have the opportunity to make contacts with the leading companies in the sector and enter into new partnerships with dealers and producers from Southeast Europe. In the framework of the 5th Freskon, the event will host the “International Peach Congress”, which tends to bring together all the professionals of the international peach sector and give solutions to its main problems. Also, there will be numerous parallel events and of course “FreshCon Market 2019, the event which includes B2B meetings between Category Managers of the Department of Fresh Fruit and Vegetables of the leading supermarket chains in Greece and the Balkans and professionals of the fresh produce sector. The organization of Freskon 2019 is co-organized by TIF-Helexpo and Froutonea Magazine.